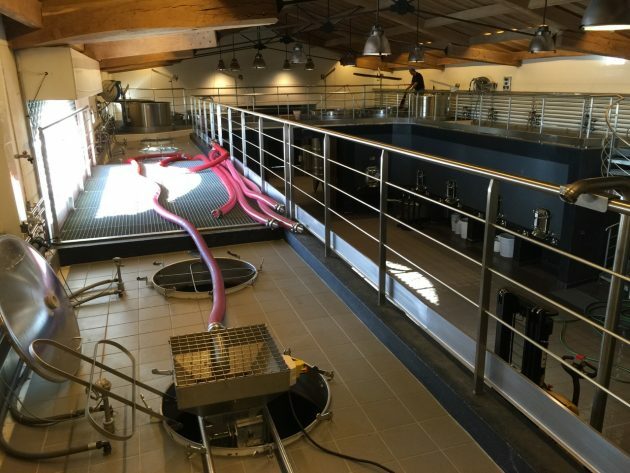 We also have a useful early warning system nearby, thanks to the earlier maturing vineyards of Pomerol some 25 minutes up the road near Libourne, where Tom goes to school. 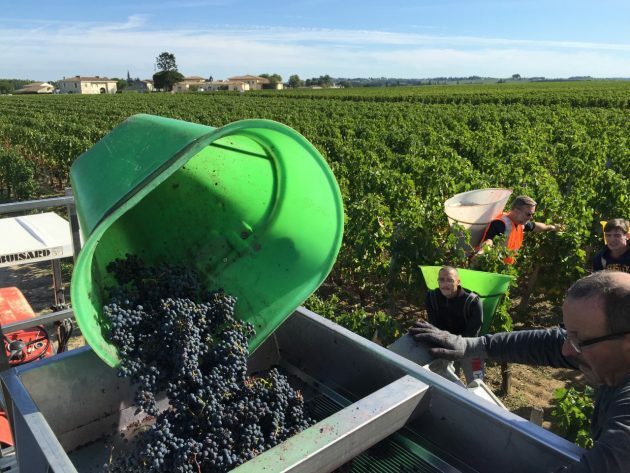 Our Merlot usually ripens 8-10 days later than at the top chateaux on the plateau of Pomerol so, after dropping Tom at school, it makes good sense – in the name of research, of course – to study the harvest taking place on one of the finest patches of dirt in the world. Pomerol is a patchwork of small estates and it’s fascinating to see how they each bring in the crop, sort the grapes and make the wine. 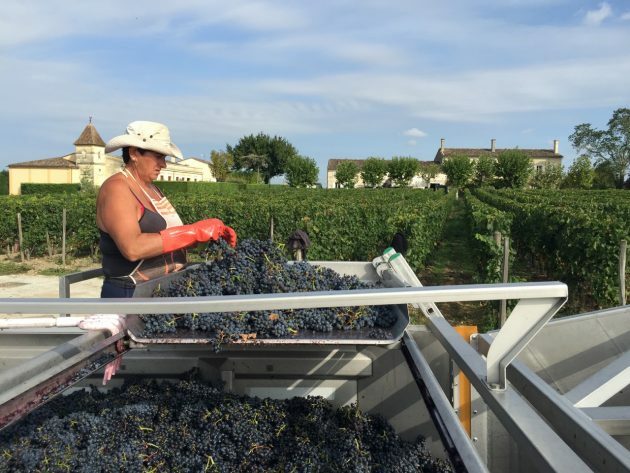 My photos include this year’s (mostly Merlot) harvest at Chateaux l’Evangile (the two pics above), L’Eglise Clinet (below), Clinet, Vieux Chateau Certan (top), La Fleur Petrus, Le Gay, Vray Croix de Gay, Clos l’Eglise plus Haut-Ferrand and Le Plince (the latter two being by machine). And as they’ve been hard at it this week, that means we’ll be picking our Merlot from Monday onwards. 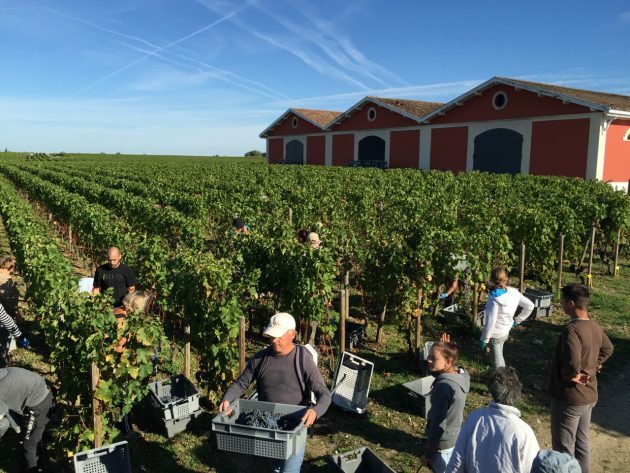 More on our harvest, and how they’re getting on in other appellations, in the next missive.